It has long been recognized that routine brushing and flossing serve to promote tooth health by eliminating the sugars and food debris that combine with bacteria to create harmful plaque. 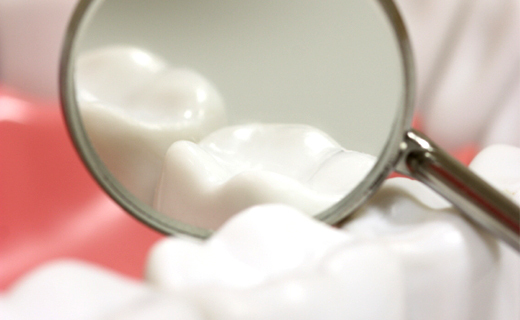 This type of buildup has the potential to cause cavities as well as gum disease. However, recent studies suggest that a diet containing with certain kinds of foods can also play an important role in achieving proper dental care and maintaining good oral health. Among the food choices believed to promote good dental health are green and black tea. Both contain polyphenols that are known to inhibit the bacteria linked to gum disease and cavities. Patients who rinse regularly with black tea have been shown to have lower levels of plaque accumulation than those who rinse with plain water, and they had less plaque, which wasn’t as sticky. Increasing the amount of crunchy food you eat is a good way to keep plaque and bacteria from settling on the surface of the teeth. Eating apples, carrots, celery, cucumbers, and other crunchy fruits and vegetables is something your family dentistry expert in The Village of Cross Keys is sure to recommend. The American Dental Association has reported that foods high in calcium such as fish, meat, and eggs are great for strengthening tooth enamel and repairing damage caused by acidic food and drinks. Plus, they can enhance bone health. Finally, chewing sugar-free gum can serve as a nice finish to a meal containing several of these tooth-friendly foods by fostering increased saliva production, which helps to wash away bacteria.